Duncan SC started as a tiny post office and the community that started up around it was called New Hope. The town changed its name to Vernonville to honor a local doctor. Then, after the Civil War, Leroy Duncan arrived and said he would buy land for city streets if the people would name the town after him. So, in 1881, the town officially became Duncan. Today, Duncan is home to 3,269 people and is part of Spartanburg county. Duncan is 25 minutes away from the city of Spartanburg and Greenville. Duncan is 15 minutes away from Hollywild Animal Park, 40 minutes from Croft State Park, 15 minutes from Lyman Lake and Lake Cooley, and 25 minutes from Lake Robinson. Duncan itself does not have a whole lot events and activities going on, but because it is part of Spartanburg county, the county makes sure to always have something in every interest to offer its residents. 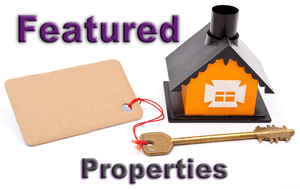 Duncan is the perfect place for work, school, or play, and has the right homes for sale to seal the deal. There is something available for everyone, regardless of wallet, family size, or style preference. Duncan is part of Spartanburg county school district number 5, which is ranked highly against other districts in the state. Different categories include best academics, college readiness, and most diverse. Duncan is within a 30-mile radius of numerous nationally recognized and accredited colleges and universities. Duncan may not have a whole lot, but it surrounded by everything someone could need. The area provides work, school, and play all in a convenient commute time, and offers the perfect homes for sale to fit every need. 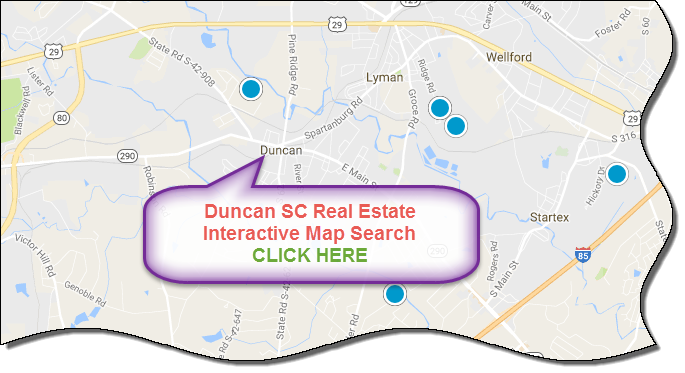 If you're looking to buy or sell a home in the Duncan area, contact the PRODUCER Realty expert real estate team at 864-438-5050.